You are here: Home » recipes » Homemade Ice Cream Recipes — over 30 ideas! Homemade Ice Cream Recipes — over 30 ideas! 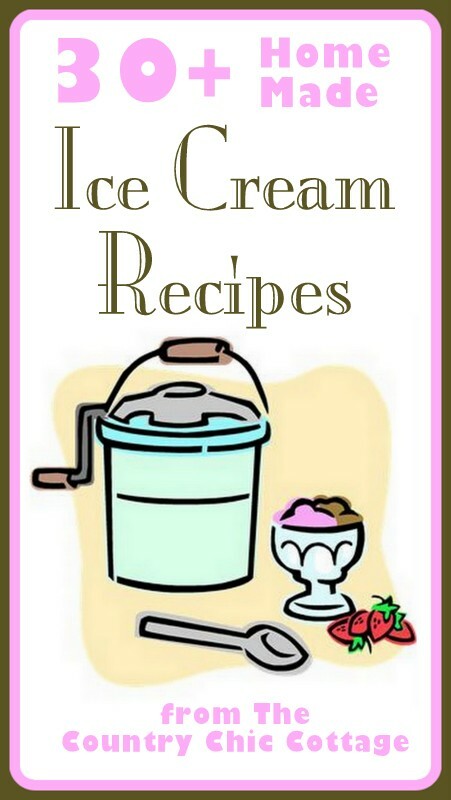 I have gathered over 30 ideas for making homemade ice cream. We love to sit on the back porch listening to the hum of the ice cream maker during the summer months. I pulled this list together while looking for some different recipes to try out. There are so many different varieties on this list that your mind will be blown. Be sure to bookmark this list because you will want to come back time after time for these great recipes! Now grab your ingredients and get to mixing! These homemade ice cream recipes won’t make themselves! Thanks so much for including so many of my recipes Angie! Pinning!